To be asked to take part in http://www.beabride.net is an honor in itself,to be the winner of best Gallery Design is beyond any excitement!! 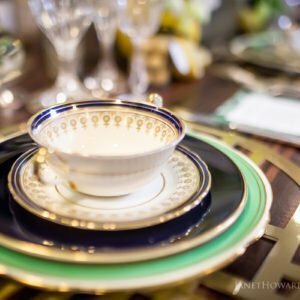 Our inspirational planner and Design creator was http://www.eventsofalifetime.com Gillian Marto.She decided upon a Colonial theme featuring deepest Cobalt Blue with bright zesty Greens and Yellows. 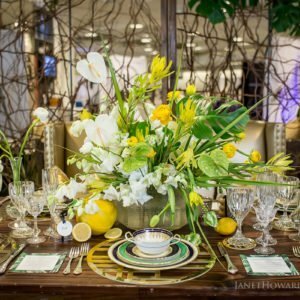 Our furniture was courtesy of the amazing http://www.collectioneventfurnishings.com Setting the stage for the vendors to add their magic. Http://www.BarnsleyResort.com was our co sponsor and approved the look as it would work so perfectly at their amazing venue in North Georgia. Our amazing young Floral Designer was http://www.sheanstrong.com who made magic from Gillians vision. 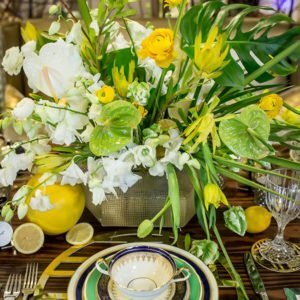 Using tropical leaves in deepest Pantone Greenery! He created a lush look that entirely blew the Judges away. It was so creative and so fresh and new that we all were delighted. 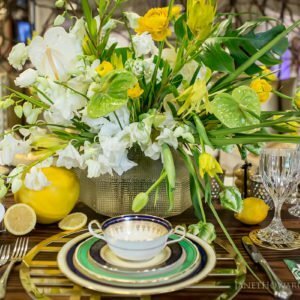 Bringing in the Lemons and drooping tulips gave it a super over blown aesthetic that worked so well. 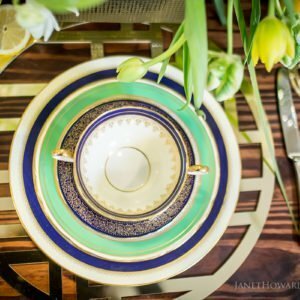 Gillian brought in great structural place mats in metallics and I placed my fine china on these to add the final touch to the design. 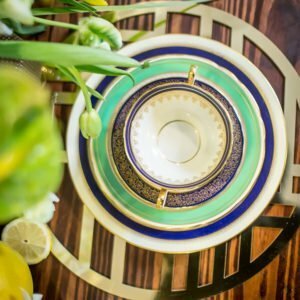 Layering deepest cobalt Blue rimmed Plates with Gold edges in some places and then Pantone Greenery Plates in others on top of each was a stunning coordinating salad plate followed by a bread plate and the a delicious Double Handled Soup Bowl in deep Blue with Gold. Still regal but approachable too. 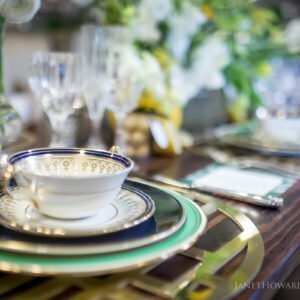 Images buy the always lovely and oh so talented http://www.janethowardstudio.com many thanks to her for capturing this special day. I am sure the Brides enjoyed it as much as the Professionals that also attended.To be a winner is a joy,to be part of a great team even more so.